Due to an increase in forum spam, I decided to move the support forums to UserVoice. You can post help requests or ideas there. It is a small, but long overdue update. The original idea was to jump to 2.0 with a brand new admin. But our employee at the time left the company. I'll make a post about this later, but at this point, I need to get someone to create the HTML for me. Donations would be greatly appreciated to get this part started. This update has some bug fixes, including a fix to the file explorer for ColdFusion 10 sponsored by Vin Collins. Added ability to switch editors. Right now the options are CkEditor and TinyMCE. There is no UI to change, but you can change the option from the database directly. If you have custom settings, those can be appended to the header by adding a setting in the settings table. Fix file explorer issue in CF 10. I've updated the Google custom search engine plugin so that it uses Google's newest code. It will also use the normal search pod that comes with most of the themes available for a more seamless experience. I've updated the CFFormProtect plugin so that it uses CFFormProtect latest additions and fixes. It will be included in the next release, but in the meantime, you can enter the following URL to download the update in the admin: http://cdn.bitbucket.org/asfusion/mango-plugins/downloads/cfformprotect.zip (if you receive an error, first de-activate it and then attempt the download. 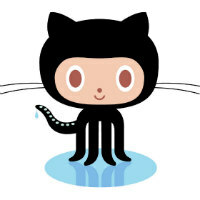 In order to allow for more contributors to send fixes and updates, I've moved Mango to Github. You are welcome to fork the project, make changes and then make a pull request. Tyson Kelley has created a plugin that allows authors o add meta keywords & meta description on individual posts. Mango Blog is proud to announce that is has become one of the Open CFML Foundation projects. The Open CFML Foundation wishes to promote the growth and awareness of the CFML language and a variety of related open source projects (projects that use CFML or CFML engines). It is my belief that such a foundation was needed for CFML to become more widely used.